Lights. Miniature lights, strings of lights, twinkling lights. No matter the season, to me they say, "there's a party going on right here." For this month's Cricut Design Space Star challenge, I wanted to work with light to make a unique party addition. 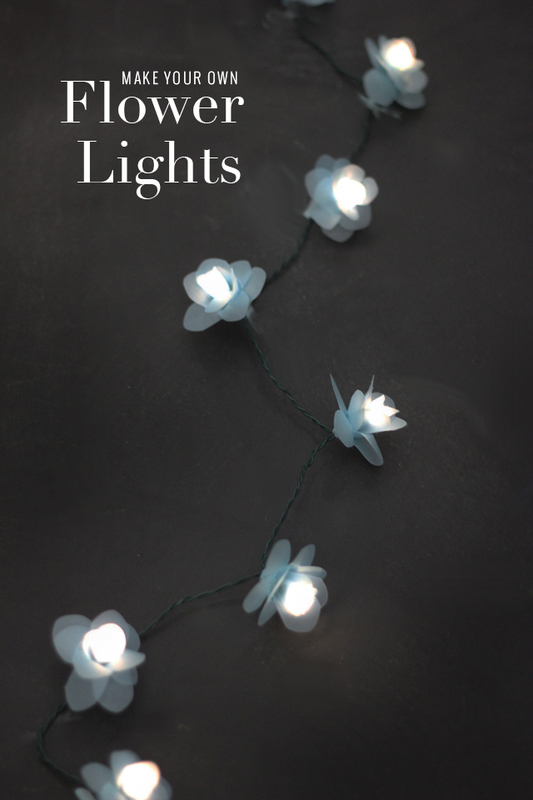 Beginning with a 20-count pack of battery-operated lights, I decided to play with the Something Blue idea for a special bridal shower or an anniversary dinner party. Blue flowers, with a few exceptions, are tough to find, so we made some. To create your own, you'll need a light strand, hot glue gun, vellum sheets, and scissors or a cutting machine (like a Cricut!). I created some petal shapes in three sizes, but all within an inch of one another. I uploaded the .svg file to the Cricut Design space. I set my Cricut to cut the vellum petals. I love the translucency of the layers of the vellum in light. 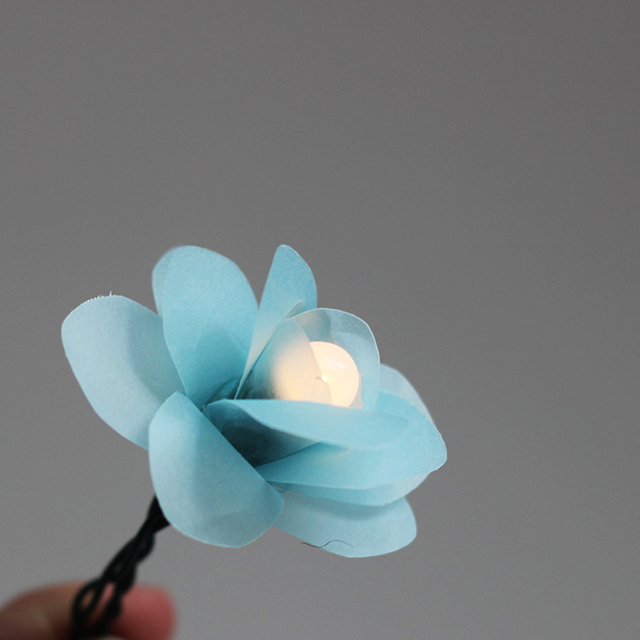 To assemble, begin with the inner-most layer and glue the petals into a curling pattern around the center bulb. A really simple project, and since these are battery-operated, they sit nicely around a table setting, or down the center of a table, displayed around a cake, or even strung to add life to a boring corner. Another Lucky #13 Cricut Challenge is coming your way, friends! This time our team created wedding and party decor. And I do have to say, I love all the possibilities! Cricut has just announced the second phase of the Cricut - I Made It! contest and this time they’re awarding one winner their own Make it Now™ project line to be sold in Cricut Design Space™!